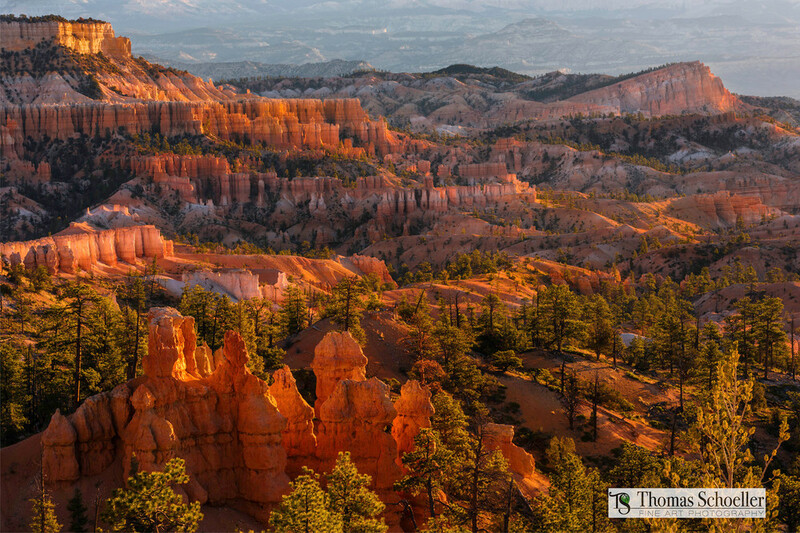 One of Bryce Canyon's premier viewpoints is Sunset Point. It's known that virtually all of the Bryce amphitheater can be seen from the overlook and it offers a magnificent opportunity to photograph scenes at sunrise. I was able to include Boat Mesa, which is seen in the top right corner as it appears to be a sinking ship. Beyond Boat Mesa is a feature known as the Aquarius Plateau, the highest plateau of it's kind in North America.